Eddy current sensors from Micro-Epsilon are designed for non-contact measurement of displacement, distance, position, oscillation and vibrations. They are particularly suitable when high precision is required in harsh industrial environments (pressure, dirt, temperature). 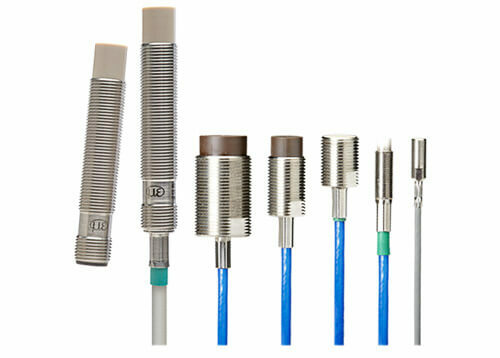 Capacitive sensors from Micro-Epsilon perform non-contact measurements of displacement, distance and position of electrically conductive targets with high precision. optoNCDT sensors have set milestones for industrial laser displacement measurement. 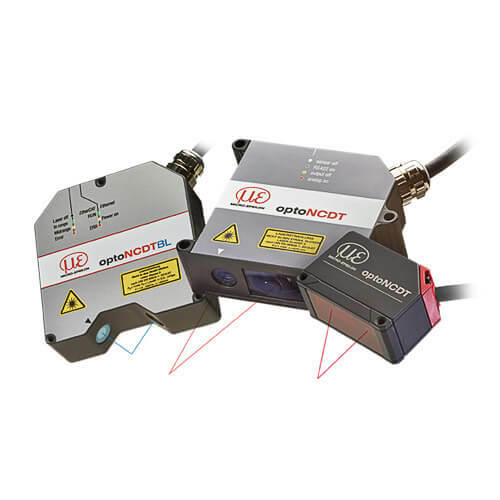 Whether for displacement, distance or thickness measurement, Micro-Epsilon laser sensors are considered one of the best in their class. 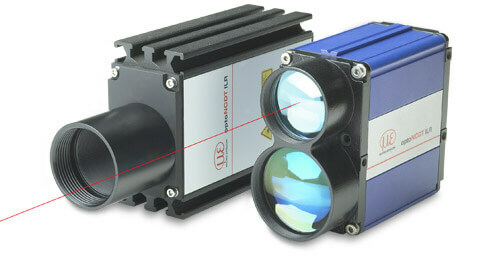 These laser sensors are used e.g. in measurement and monitoring tasks in factory automation, electronics production, robotics and vehicle construction. 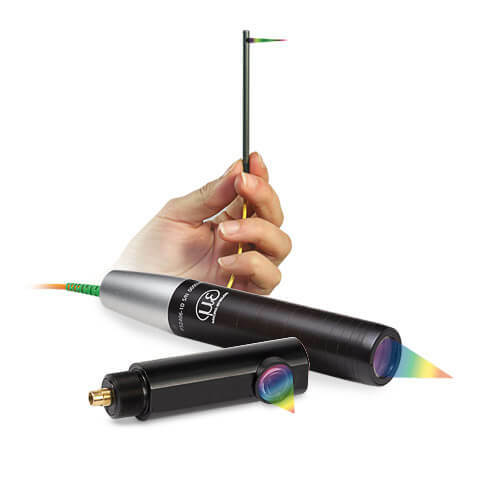 The confocal chromatic confocalDT measuring system is used for fast distance and thickness measurement. Different sensor models and controller interfaces open versatile fields of application, e.g. in the semiconductor industry, glass industry, medical engineering and plastics production. 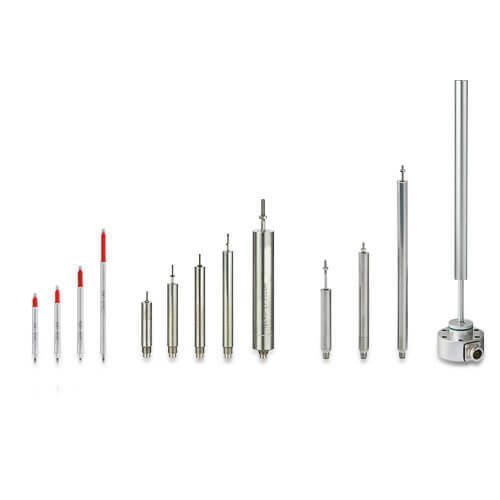 Micro-Epsilon offers a large range of inductive sensors for displacement and position measurement from conventional LVDT sensors and inductive sensors with integrated controller to customer-specific high-volume versions. The induSENSOR displacement sensors from Micro-Epsilon are used in automated processes, quality assurance, test rigs, hydraulics, pneumatic cylinders and automotive engineering. 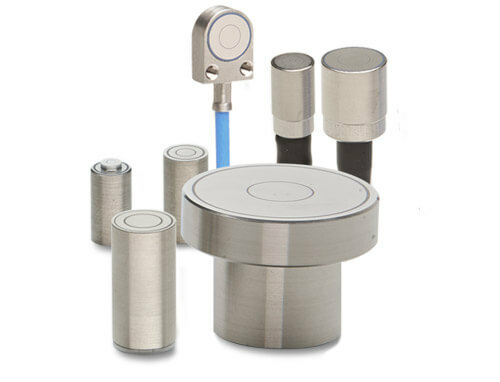 mainSENSOR is based on an innovative measuring principle, which has been developed by Micro-Epsilon in order to combine the advantages of both inductive and magnetic sensors. Magneto-inductive sensors are frequently used as alternative to inductive sensors and proximity sensors in process automation, the packaging industry and in machine monitoring. 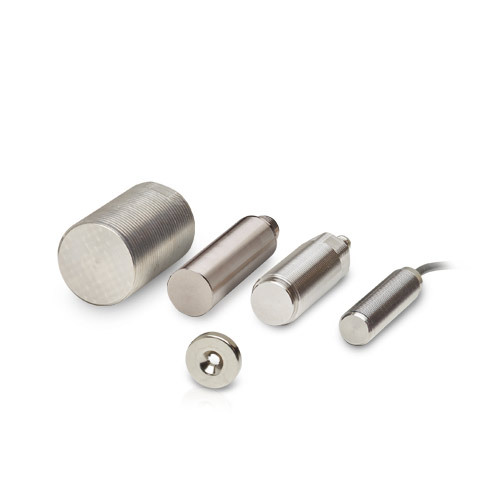 Draw-wire sensors of the wireSENSOR series measure almost linearly across the entire measuring range and are used for distance and position measurements of 50mm up to 50,000mm. Draw-wire sensors from Micro-Epsilon are ideal for integration and subsequent assembly in high volume OEM applications, e.g. in medical devices, lifts, conveyors and automotive engineering.